Kevin Spacey has a nice time drinking coffee and telling stories to a grumpy policeman. 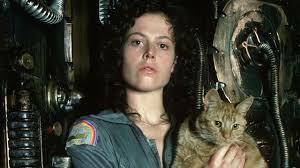 Sigourney Weaver risks her life to save a cat. Sam Neill learns to like children after being forced to keep two of them from being eaten. Kevin Spacey really hates fat people, among others. Baxter is a dog who can speak Spanish and converse with bears. Sinbad goes to jail after trying to buy his son a toy at Christmastime. Kyle Reese is a motherf**ker. Crybaby orphan beats people up while wearing tights and a cape. Shiftless bowling aficionado acquires new carpet. Group of friends overcome their differences to murder a common enemy with a boulder. Young man fights with his dad and kisses his sister in outer space. Man dies from looking at snow globe. Hippie woman falls in love with retarded man, dies of AIDS. Irritating teenager with improbable name spawns baby that looks like Michael Cera. Leonardo DiCaprio is obsessed with a dreidel. previousHercules – Needs More Blood!